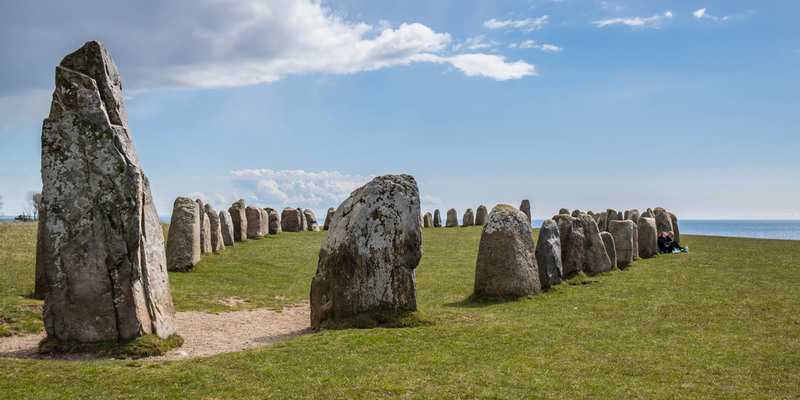 Ales Stenar is the largest preserved stone ship in Sweden and one of the most popular attractions in Skåne. 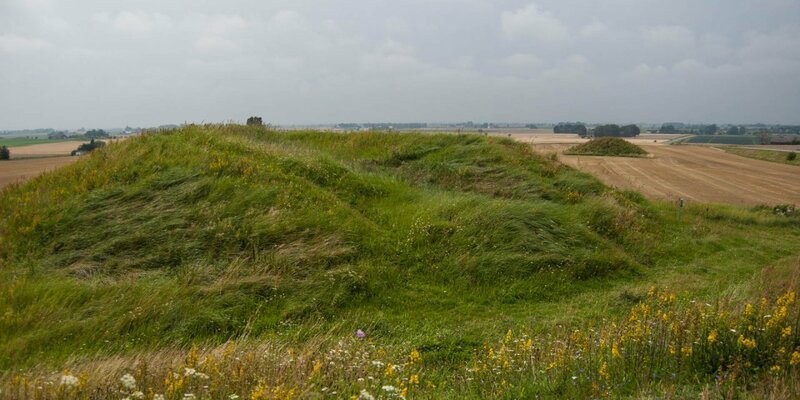 The monument is more than 1,400 year old and is located on a plateau above the cliffs near the picturesque fishing village Kåseberga, about 20 kilometers southeast of Ystad. Ales Stenar consists of 59 vertically stones arranged in the shape of a ship hull. Compared to the usual ship settings, which are quite common in Sweden, Ales Stenar has enormous proportions with a length of 67 meters and a width of 19 meters. The two stones that represent the bow and stern, are about three meter tall, twice the height of the remaining stones. The weight of the stones is between 500 and 1,800 kilograms. According to the latest archaeological research in 1997, the origin of Ales Stenar is dated to the time around 600 AD. 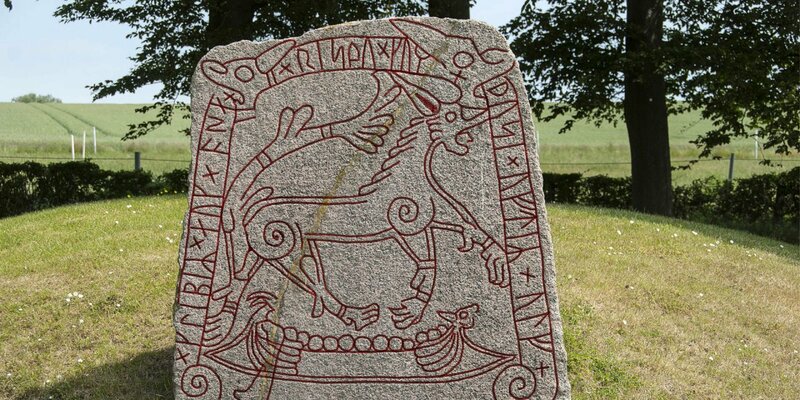 The findings in the stone ship and under the stones could undoubtedly dated to periods between 400 and 900 AD. 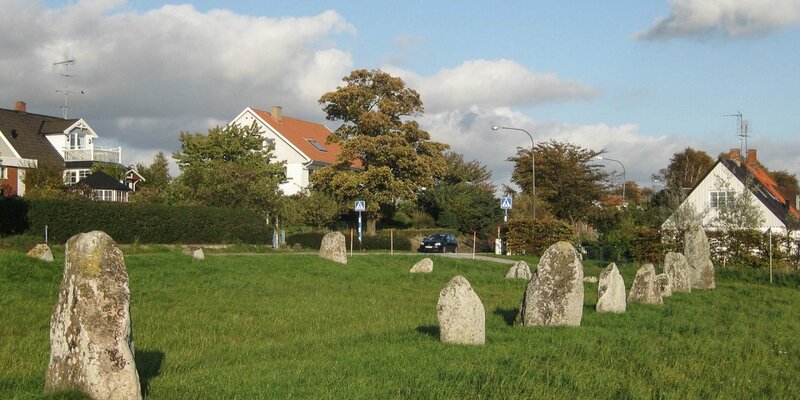 The importance of stone circles in Scandinavia is still not proven beyond doubt. Although there wasn't found human remains in any of the investigated sites, it is assumed that they are basically tombs.